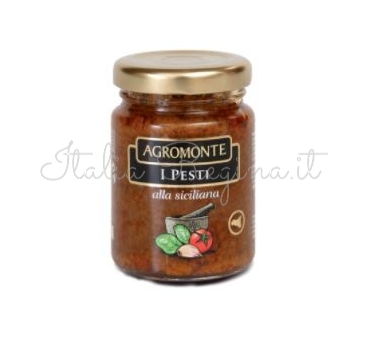 Agromonte Sicilian Pesto is made with traditional ingredients of Sicily, that evokes the Mediterranean cuisine. 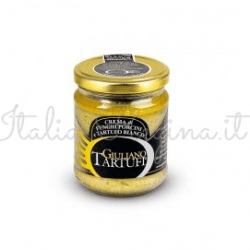 A speciality food with unique flavour and quality. 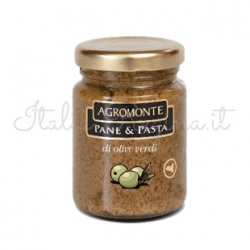 An essential for appetizer spread , it can also be used as an excellent condiment for pasta. 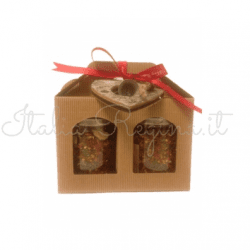 Ingredients: Dried cherry tomatoes, sunflower oil, basil, salt, red chilli pepper, garlic.